Under my new Dalek colour schemes (see Fear of the Daleks) this story sees the debut of the gold Dalek Strategist. Part one was posted on 8th April, part two on 16th April and part three on 23rd April- the same day as The Impossible Astronaut, the opening story of series 6 on TV. Had I given it more thought I would have started the series two weeks earlier so the final episodes weren't over shadowed by real Who. 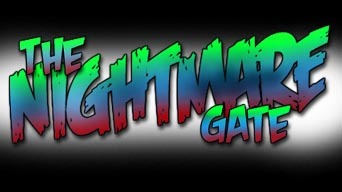 One of the original titles for the story was The Nightmare Gate. 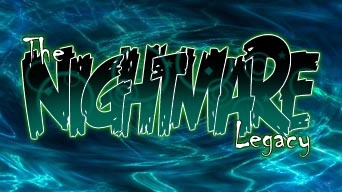 Every episode in the series so far has ended with a taster of the next part. I decided to forego that this week so as not to spoil the final episode. It was always the plan that the Daleks would top and tail the series with Angel being the link. In reusing the Daleks again I had to come up with something new to do with them in order to justify it. I was reminded of many films where World War II Nazis are shown looking into the occult in order to win the war. This was something the Daleks have never done before- admitting that there are things beyond their comprehension that could be harnessed in their ongoing war- but it's something touched on in Story One where the Daleks are experimenting with human fear. The crux of this story of course, is the revelation in part two that the real Angel was murdered by the Daleks in the first episode of this series and the Doctor has been travelling with a Dalek duplicate all this time. Whether or not she'll be redeemed... well you'll have to tune in next week. It was always my intention that Angel would turn out to be a pawn of the Daleks. In the original storylines, the Doctor escapes with a component for the Daleks' latest machine but the Supreme is unconcerned since the component needs to be charged with artron energy in order to work. 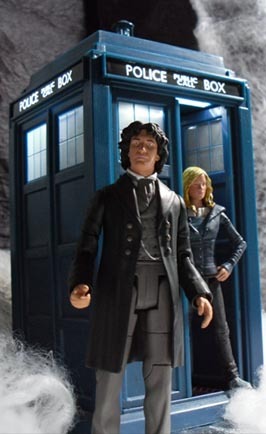 It would transpire that the component was the Doctor's new companion. The Planet Nox uses silver crepe paper as it's floor with walls of black and brown crepe paper. The rocks are made of foam filler sprayed with grey rock paint. Halloween cobwebs are added to give the planet a misty look. 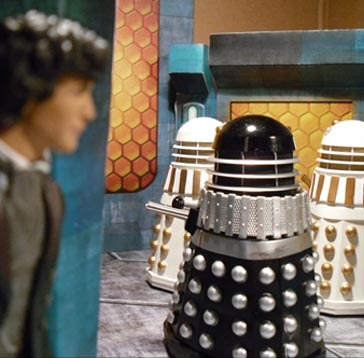 The scenes on Skaro and the Dalek ship use sets based on City of the Daleks and were shot back to back with scenes for Fear of the Daleks. During the editing it became apparent that a lot was happening very quickly so I slowed the pace and made it three episodes instead of just the original two, though some miscalculation led to an extra page for part two. The 'money shot' of the Doctor watching the Daleks gather round the Nocturus entrance was done twice, the first image really not cutting the mustard. 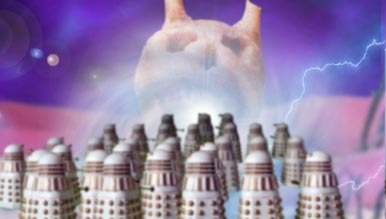 The second image uses the Dalek city from The Daleks as its background. Although not stated on screen, this story is set in the year 3011 as is its predecessor Fear of the Daleks.